Flirtalike – the chat, flirt and dating community to make new friends and find love! Flirtalike is a free mobile flirt and chat community where you can send TEXT, PICTURES, VIRTUAL GIFTS and cheeky FLIRTS. We match you with other users based on your current location, status or even mood, so you can make new friends in an instant! – Discover NEARBY, NEW and ONLINE users. – Use our easy, one-click search – no need to type anything! 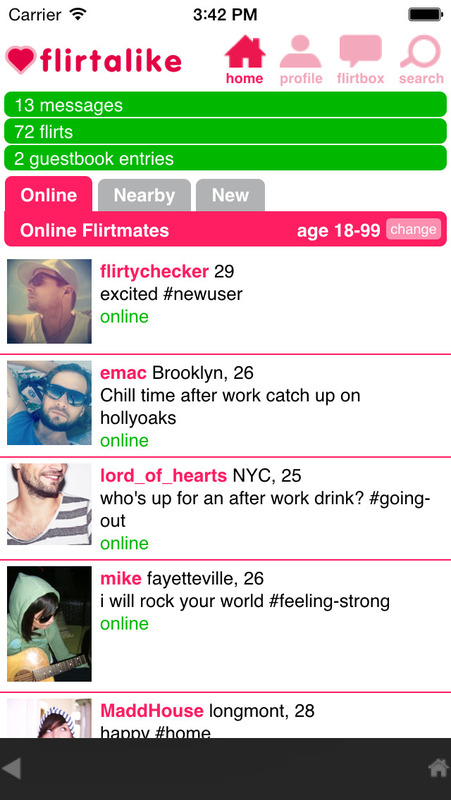 – Send cheeky flirts – no typing here either! – Send messages and chat in an easy conversation view – it’s like free texting! – Safe and secure – no need to give out your phone number or exact whereabouts. So – download the app and get your profile up and running in less than 30 seconds! Flirtalike is awesome easy so you can forget classic speed dating, classified personals, or boring dating apps and sites! Voice SMS Gothr – The Goth Movie Maker!